I don’t make desserts often, but when I do, we usually stick to low or no-sugar options like chia seed pudding. Still, my kids had been asking to help create some new blog recipes (since I try to let them help out in the kitchen as much as possible) and I remembered the no-bake cookies I used to make as a child with my mom. I realized that these would be really simple for my kids to make and that a few substitutions would make them healthier by increasing the protein and fiber and still keep the same texture and flavor as the originals that we used to make. I gave them the basic recipe I used as a kid and the ingredients we were using to substitute and let them take charge of this recipe. They did a great job (especially with the taste-testing part) and while I ended up with a few extra dishes, they created this recipe pretty much on their own. Coconut flakes make a great substitute for oatmeal. If you have bigger coconut flakes, pulse them in a food processor for a couple of seconds to create the same size and texture as instant oats. 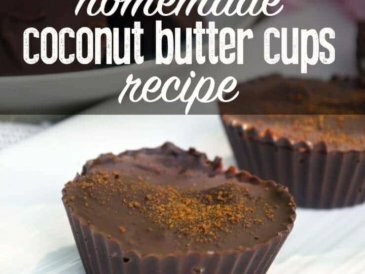 Coconut oil is a great dairy-free substitute for butter in almost any recipe and it doesn’t disappoint in this one. Of course, if you can tolerate dairy and prefer butter, absolutely use it. Peanut butter is easily replaced with almond butter, pecan butter, or tahini (we love these raw nut butters that are soaked, sprouted and dehydrated before being made into butters). White sugar can be replaced with maple syrup, honey, or coconut sugar, and I’ve found that you can use much less than the regular recipe calls for. Using stevia tincture is another good option to reduce the sweetener even more. 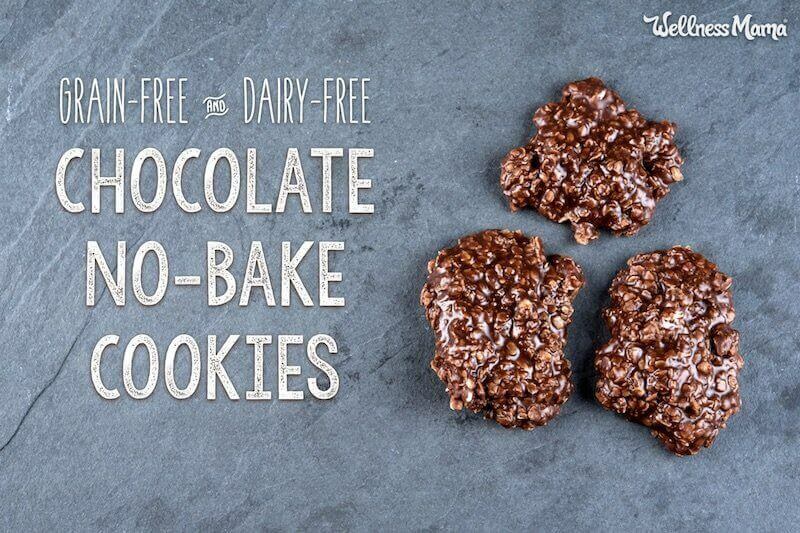 No-bake cookies made with coconut instead of oatmeal for extra protein and fiber. 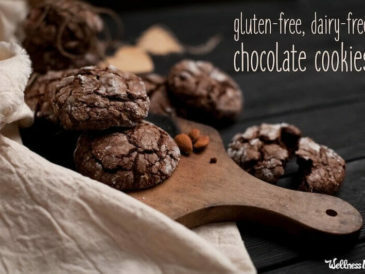 Make them dairy-free by using coconut oil instead of butter and mix them up my adding your favorite nuts. 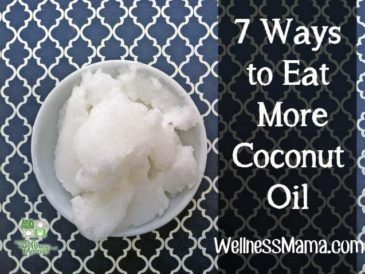 Melt butter or coconut oil in a large saucepan. Stir in sweetener and cocoa powder and bring to a simmer. Simmer 2-3 minutes or until it bubbles, but be careful not to let it burn. Remove from heat and add vanilla and almond/pecan butter and stir until smooth. Add two cups coconut and mix to combine. Add more coconut if needed until finished mixture is thick and somewhat crumbly, but scoopable. 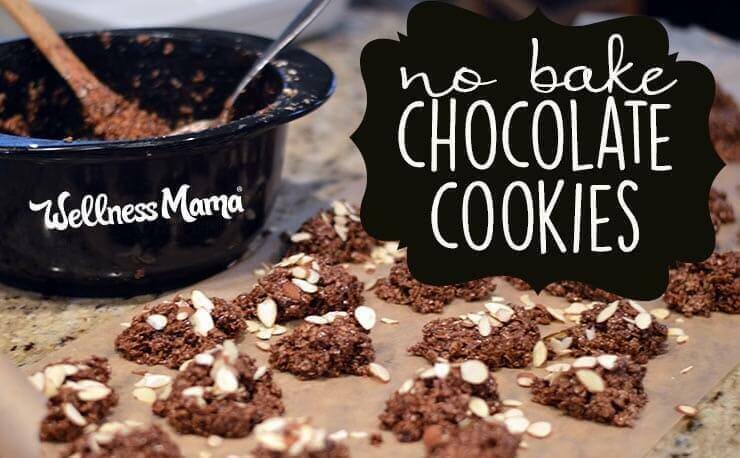 Use a spoon to scoop the mixture onto a parchment paper or silicone mat lined baking sheet in cookie-sized servings. Place baking sheets in the freezer for 15 minutes until they have hardened. Store in an air-tight container in the freezer until ready to consume to maintain the texture. If desired, top with chopped or sliced nuts, orange zest from organic oranges, or a sprinkle of coarse sea salt. My kids love helping out in the kitchen, and this recipe is an easy way for younger kids to help out with an easy recipe that they will love to eat once finished, especially since they can help choose which ingredients to add! Which desserts did you make as a child? Do you ever still make them?